The Celtic people are a people that have, historically, enjoyed a drink of beer now and again. From their roots in Iron Age Germany to modern Celt descendants in Ireland, drinking is what Celts do best. It goes without saying that there’s no real surprise that the 2550-year-old Celtic settlement of Eberdingen-Hochdorf in southwestern Germany had its own brewery. Now, archaeobotanist Hans-Peter Stika of the University of Hohenheim in Stuttgart has uncovered the taste of Iron Age beer. The key difference in ancient versus modern beer, according to Stika, is what is added. Ancient beers were flavored with mugwort, carrot seeds, and henbane, not hops. “These additives gave Celtic beer a completely different taste than what we’re used to today,” said Stika. Still, the method to produce Iron Age beer was a little strange. Barley was grown in specially-dug pits, soaking in water until it sprouted. Then, the pits were lit on fire at either end to dry and roast the barley, giving it a characteristic smoky taste. This slow smoking stimulated the production of lactic acid, giving the beer a slightly sour taste. Heated stones would then be placed in the mash brew, which would add a caramelized taste. 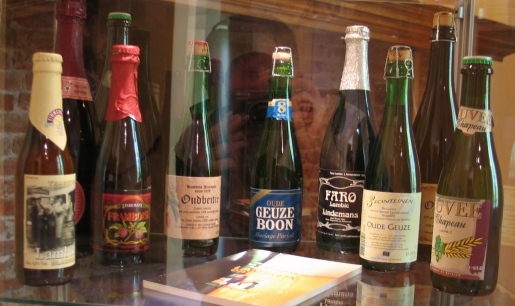 The yeast used in fermentation would be wild yeast from either honey or fruit, similar to a lambic beer today. The finished beer would be served room temperature and completely unfiltered. The smell and taste were likely an acquired love (kind of like beer today, in fact). The Roman Emperor Julian described the smell of Celtic beer as being “like a billy goat.” There’s nothing like a warm glass of chewy, dark, stinky beer, eh gang?